Here’s something for the die-hard Disney fans. If you have ever been to Disney world, then you must have seen the Carousel of Progress tucked away in a corner in Tomorrow land. True fans know that no trip to Disney World is complete without a visit to the rotating attraction while you hum along to “It’s a great big beautiful tomorrow”. Thanks to the Internet we can now bring you a collection of the 5 best bags inspired by The Carousel of Progress. 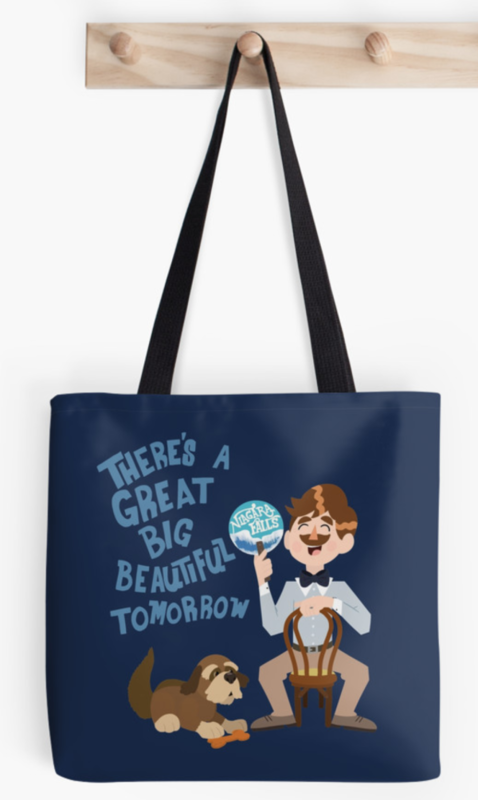 This Carousel of Progress bag comes in a nice eggshell blue with the words to “It’s A Great Big Beautiful Tomorrow” printed on it with Cinderella’s castle silhouetted in front of the words. You can pick this bag up from Redbubble. 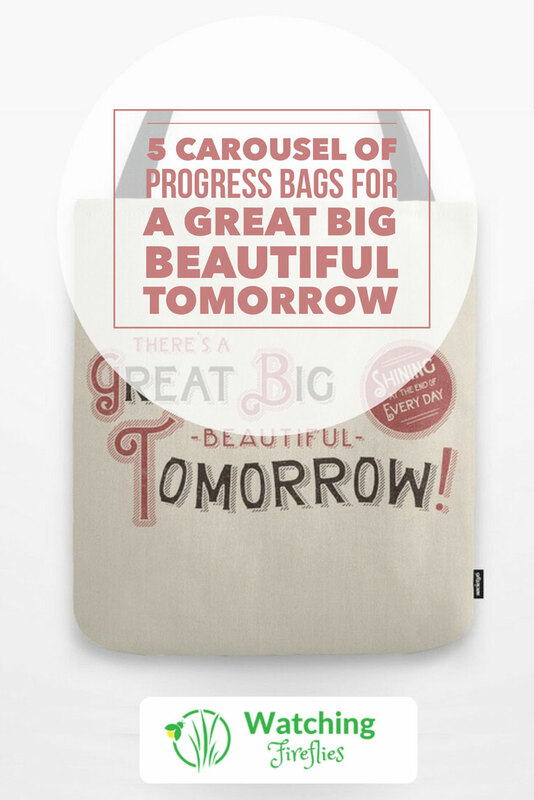 This Carousel of Progress bag is a beautiful Victorian font style design with the words “It’s a great big beautiful tomorrow, shining at the edge of every day” on it. You can order this bag from Society8. The main narrator on the Carousel of Progress is the father, John and his dog Rover. One the carousel we follow them through the ages as they tell us about all the progress being made. 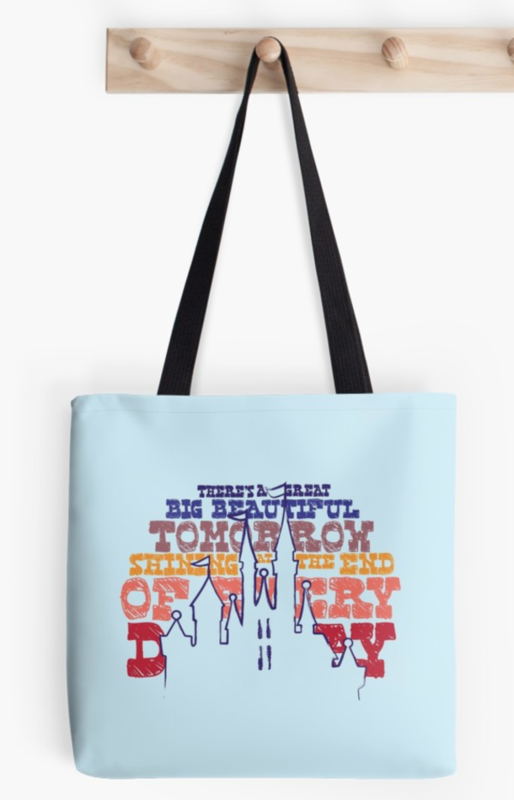 Now you can own a bag with John and Rover sitting ready to tell us the next chapter in the Carousel. 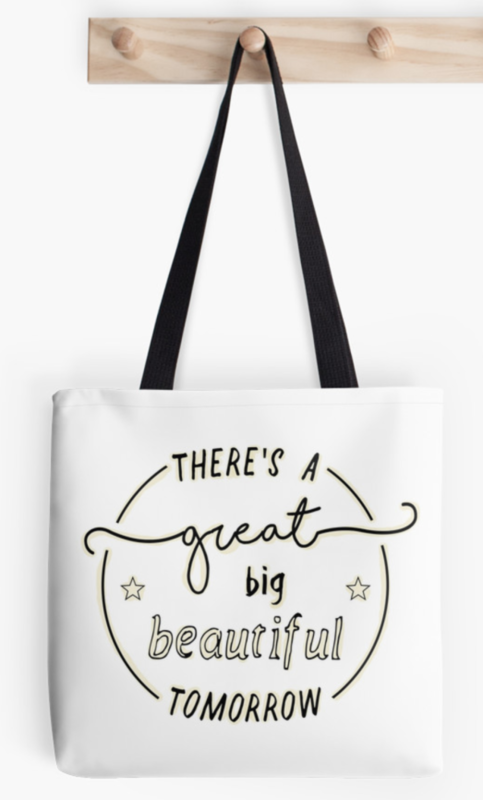 Grab this bag from Redbubble. 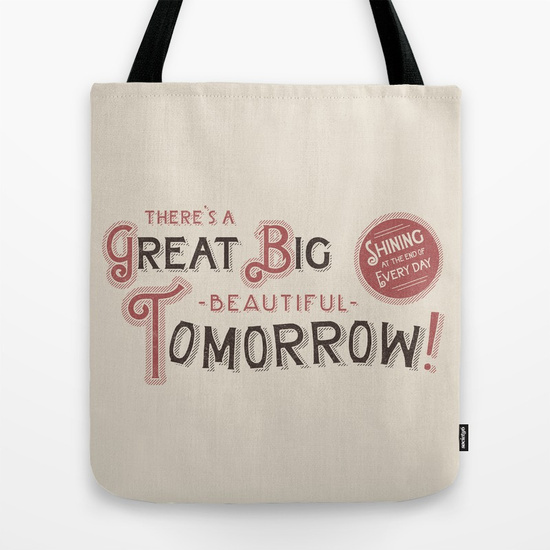 I really like this simple hand-drawn style Great Big Beautiful Tomorrow bag. It features the sing words in a very simple handwritten font and a nice white fabric bag. You can pick this bag up from Redbubble as well. 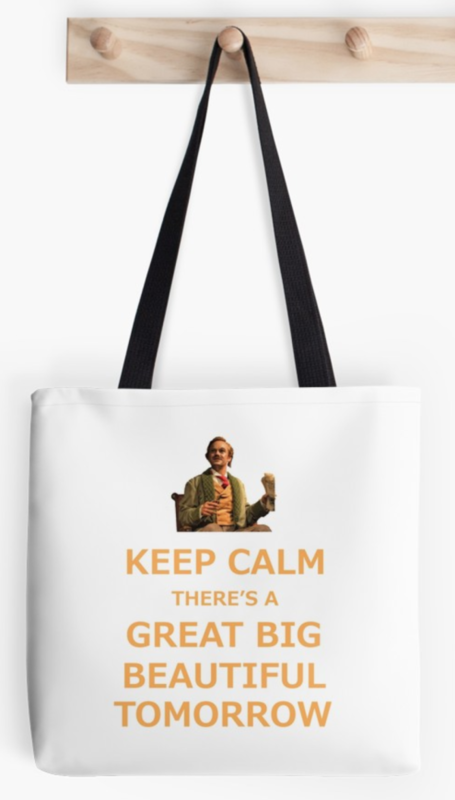 Rounding out our collection of the top 5 Carousel of Progress bags, we had to include this Keep Calm there is a great big beautiful tomorrow bag. A great take on the classic keep calm and carry on poster. You can find this bag at Redbubble.